Arlene Blum PhD., biophysical chemist, author, and mountaineer is Executive Director of the Green Science Policy Institute and a Research Associate in Chemistry at UC Berkeley. Blum’s research and policy work has contributed to preventing the use of flame retardants and other harmful chemicals in children’s sleepwear, furniture, electronics, and other products world-wide. Her current “mountain” is to educate decision makers and the public to reduce the use of entire classes of harmful chemicals in everyday products. In 2006, Arlene Blum learned that the same harmful tris flame retardant that her research helped remove from baby pajamas in the 1970s was back in the nation’s furniture and children’s products. Her efforts to solve this problem using scientific research led her to found the Green Science Policy Institute. The Institute’s mission is to facilitate the responsible use of chemicals to protect human and environmental health. Watch this video to learn about healthier products. 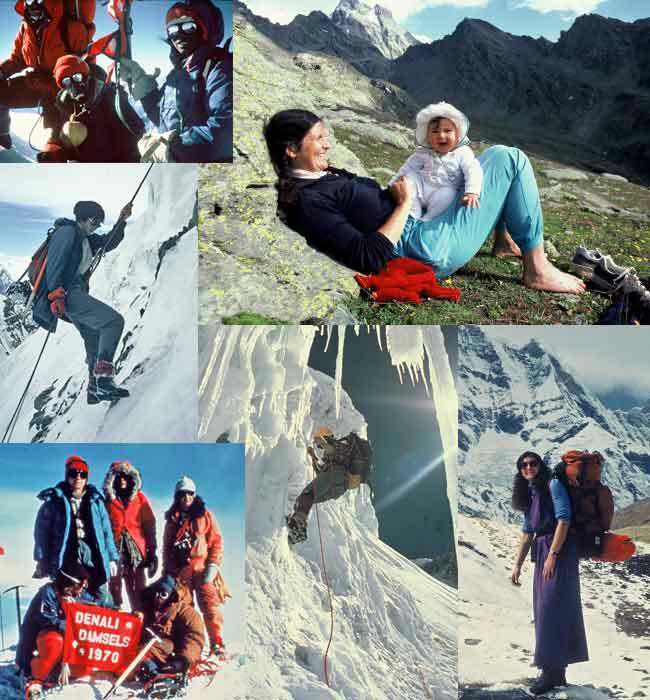 Arlene Blum led the first American — and all-women’s — ascent of Annapurna I, one of the world’s most dangerous and difficult mountains; co-led the first women’s team to climb Denali; completed the Great Himalayan Traverse across the mountain regions of Bhutan, Nepal, and India; and hiked the length of the European Alps with her baby daughter on her back. She is the author of Annapurna: A Woman’s Place and Breaking Trail: A Climbing Life. TEDx Talks: Dr. Arlene Blum on the pervasiveness of toxic chemicals in today’s world.